Drink for Good is an annual HandsOn Hong Kong fundraising initiative that provides a platform for people to create positive social impact and give back to the community, while drinking and dining at Hong Kong's hottest spots. In 2016 Drink for Good funds raised enabled us to organize 70 programs for 800 children with special needs, with the support of 300 HandsOn Hong Kong volunteers. 2017 will be the fifth year of Hong Kong's community supporting and celebrating Drink for Good by hosting parties at participating venues. Past Party Hosts such as CBRE, Google, PwC and The Economist Group have used the initiative as a platform for treating clients, colleagues and special guests to a fun-filled evening of drinks and snacks, while giving back to those in need. For all Drink for Good Parties of 20 people or more, 30% of the booking will benefit a HandsOn program supporting children with special needs. There are limited spots, so book your party now at one of our awesome venues. Or stop by for casual drinks at one of our other Supporting Venues. Drink for Good is an annual fundraising initiative taking place in bars and restaurants across Hong Kong. 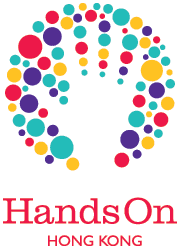 HandsOn Hong Kong partners with Central, Soho, Sheung Wan, LKF, Wan Chai and Quarry Bay who donate a portion of the proceeds from drinks on that day. Funds raised support programs for children with special needs. Drink For Good first took place in 2013, where the funds raised enabled HOHK to take 100 disabled children to the Ocean Park theme park, accompanied by HOHK caring volunteers. In 2014 and 2015, funds raised made wishes come true for 500 and 800 children with special needs (respectively). Last year HOHK worked with 67 venues across Hong Kong to raise money that made various outings for children with special needs possible. Stay tuned for the 2017 edition in Q3.